Free Validation “w3c” Icons to download and use. * They needed to be more useable across a wider scale. * They needed to look the part as well as take part. The new edition are ready to be used by all whether you’re a web designer or web developer. A quick ‘shout out’ to say thanks suffices as a plug. 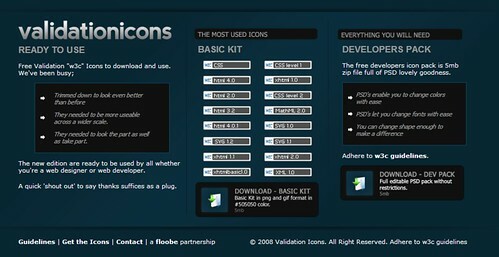 Icons, Validation Icons, Validate Web Icons, w3c Icons.